Hello festival season, thank you for all of the good music you have provided and plan on providing. Kanye West is set to headline the first-ever Meadows Music & Arts Festival. Yeezy is not the only major artist to perform at the launch of the new festival either, The Weekend and Chance the Rapper are also set to hit the stage as well. 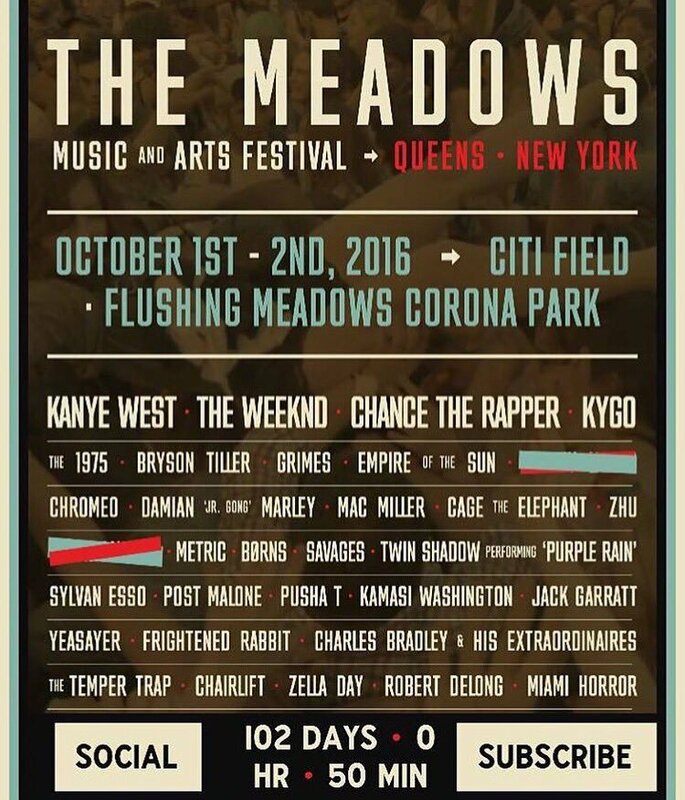 This festival is produced by Founders Entertainment, which is also the same company that does the Governor's Ball. If you all recall, the ball was cancelled earlier this month due to severe weather. 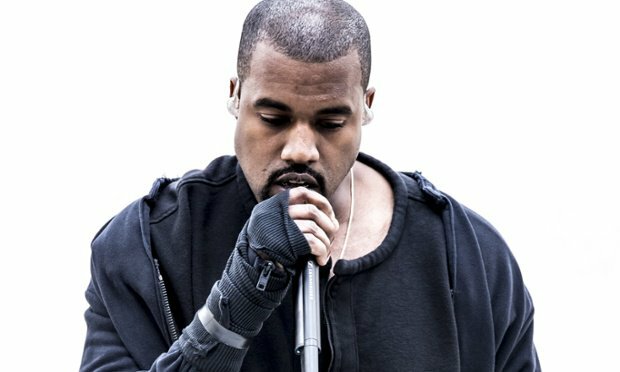 That left many fans disappointed who were looking forward to seeing Kanye perform (he was scheduled to close out the ball). 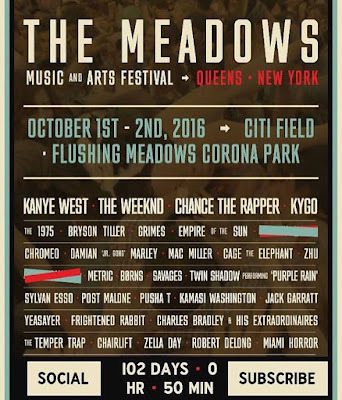 The Meadows Festival will take place in Queens, NY on October 1-2 in Flushing Meadows Corona Park. There is a great line up of performers on this festival including: Bryson Tiller, Mac Miller, Pusha T, Post Malone, and Damian "Jr. Gong" Marley to name a few. There are also two surprise guest that are marked out on the flyer so I'm sure people are anxious to see who they will be. Tickets will go on sale to the general public on Thursday, June 23, however, Governor's Ball ticket holders will be able to purchase their tickets the day before. Due to the inconvenience of the cancellation, the ticket holders will receive an email with a special promo code for early purchase. Are you thinking about heading to the Meadows Music Fest? Check the rest up the line up below.